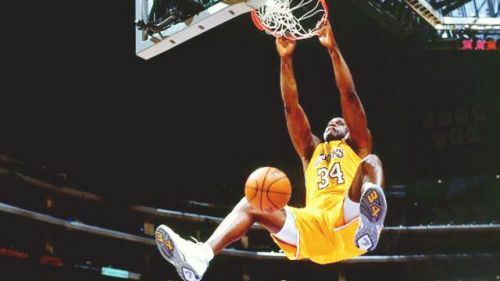 Every few years, we come across a few nasty dunks that get immortalized on highlight reels for years to come. We're not talking about just dunks that made us go "OH NO HE DID NOT!!!". We're talking about the dunks that were so disrespectful, the whole arena went berserk. Not all dunks are disrespectful. So, how do you know when a dunk is disrespectful? There are some dunks that go over someone and there are dunks that go through someone. Some dunks just happen, the dunker dunks the ball and the sequence ends. A disrespectful dunk has an aftermath that is everlasting. So a for a dunk to be disrespectful the following factors have to be considered - Do the Dunker and Dunkee have a history? How did the Dunker react after the dunk? What was the reaction of the crowd? How difficult was the dunk? Did the Dunkee try to stop the dunk? With the above qualifications in mind - Here is a list of the 5 most disrespectful dunks in NBA history! History Between the Dunker and Dunkee - Jason Terry outplayed LeBron James in the 2011 Finals and had denied LeBron his first ring with the Miami Heat Superteam. Terry kept telling the media how LeBron James - one of the greatest players to ever play the game won't be able to guard him and somehow it came true. Terry completely outplayed LeBron in Game 4, 5 and 6 including a clutch shot in Game 5 over James to win the game and the Mavs ran away with the NBA Championship that year. The Dunk - Jason Terry was a member of Boston Celtics in 2013. After a steal, he was bringing the ball up the court but Dwyane Wade poked the ball loose and passed it to Mario Chalmers who tossed it to Norris Cole. By now, Jason Terry was all over the place and was trying desperately hard to recover the ball. Cole lobbed the basketball up for LeBron James who was running at Terry at breakneck speed like the train in Unstoppable. ﻿Terry tried to stop LeBron but the latter caught it first and dunked it all over Terry. Terry fell on his back and LeBron took a step towards him and then stared him down for a while (and picked up a technical) and walked away without saying a word. Savage!